While Apple continues to ponder the unthinkable, reportedly preparing a low-cost rival for the likes of the Fire TV Stick and Google’s Chromecast lineup, Amazon just wants you to have all the video streaming options in the world as long as you use Alexa and, preferably, Prime services. After upgrading a version of the Fire TV Stick to support 4K Ultra HD content, as well as state-of-the-art technologies like HDR, HDR 10, Dolby Vision, and HDR10+, the e-commerce giant is today refreshing its other digital media playing HDMI dongle. This one comes without all those bells and whistles, capping off at 1080p resolution, while including the same “all-new” Alexa voice remote at a lower $39.99 price (compared to $49.99 for the 4K-enabled model). Looking at things from a different angle, the same unbeatable 40 bucks as before gets you a fancy voice-controlled remote in addition to the popular entry-level Fire TV Stick configuration. Pre-orders are already underway in the US, UK, Canada, Germany, India, and Japan, with the actual release scheduled for January 23. While there are no words on any under-the-hood upgrades, it’s also worth pointing out that the refreshed Fire TV Stick is the first member of Amazon’s streaming hardware family to ship with IMDb Freedive in the US. The newly launched free ad-supported movie streaming platform joins the likes of Sony Crackle, TubiTV, and Pluto TV in offering access to gratis content through the Fire TV Stick with the all-new Alexa Voice Remote (yup, that’s technically its full name). 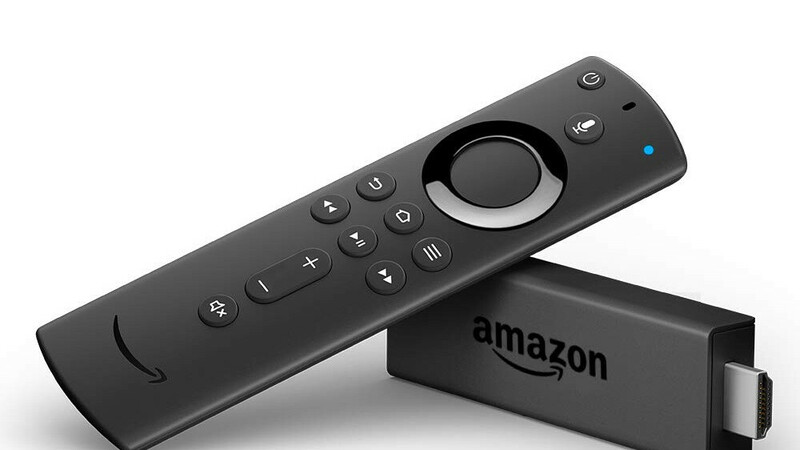 As for the actual remote Amazon is so aggressively advertising, its key strength is the ability to control not just the streaming dongle, but also TVs, soundbars, and receivers. Apart from voice commands, the remote supports physical power and volume control. Separately, the “all-new” Alexa Voice Remote would typically set you back $29.99, but for a limited time, you can get a whopping 50 percent discount. In addition to the new Fire TV Stick and Fire TV Stick 4K, the $14.99 powerhouse is also compatible with the Fire TV Cube and Fire TV (3rd Gen, Pendant Design).